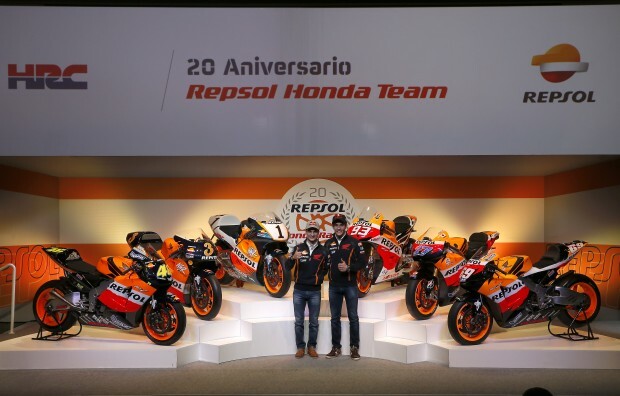 Campus Repsol, Madrid, today hosted the 20th anniversary celebration of the collaboration between Repsol and Honda in the Motorcycle World Championship’s premier class. Over the past 20 years, this Alliance has celebrated 10 World titles, 124 race wins and 338 podiums in 500cc and MotoGP. The longest running partnership between… read more. The first test of 2014 has concluded with the World Champion, Repsol Honda’s Marc Marquez, remaining the quickest man on track throughout the three days. 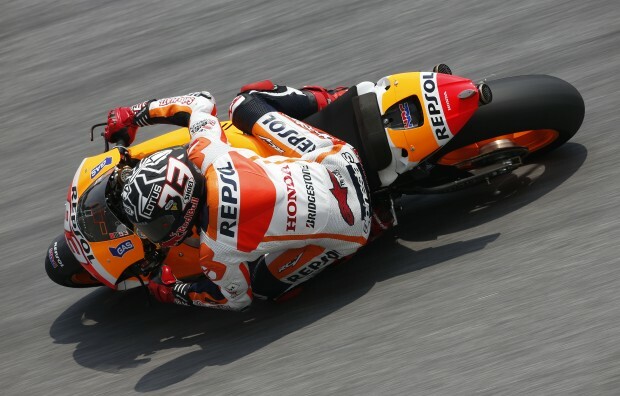 Today – the final day of the three-day test – Marc broke the Sepang lap record with a time of 1’59.533 (beating Casey Stoner’s time… read more. 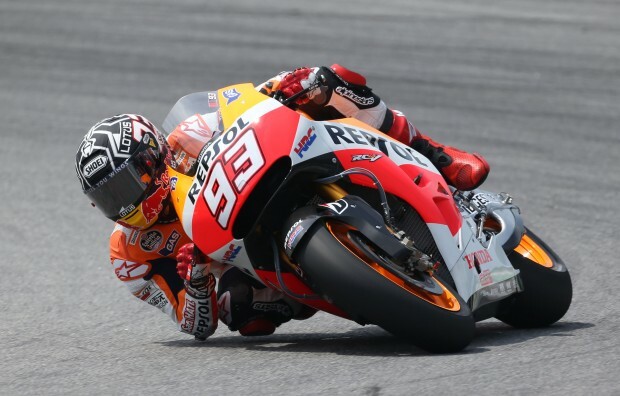 Marc Marquez was once again the fastest man on track today in Sepang and the only rider to record a sub-two minute lap time with 1’59.926 on lap 38 of 65. Teammate Dani Pedrosa finished the day in second place with a time of 2’00.336 on lap 12 of 62.… read more. The 2014 season has finally arrived with the test ban over and bikes returning on track at the Sepang International Circuit in Malaysia. Repsol Honda riders Marc Marquez and Dani Pedrosa both spent time on the 2013 RC213V machine, to regain the feeling after the Winter break, before climbing aboard… read more. 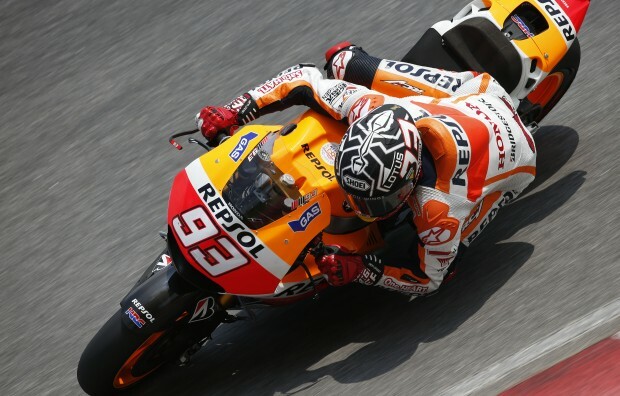 Repsol Honda rookie, Marc Marquez, has won the 2013 MotoGP World Championship by taking 3rd place in the final race of the season in Valencia. 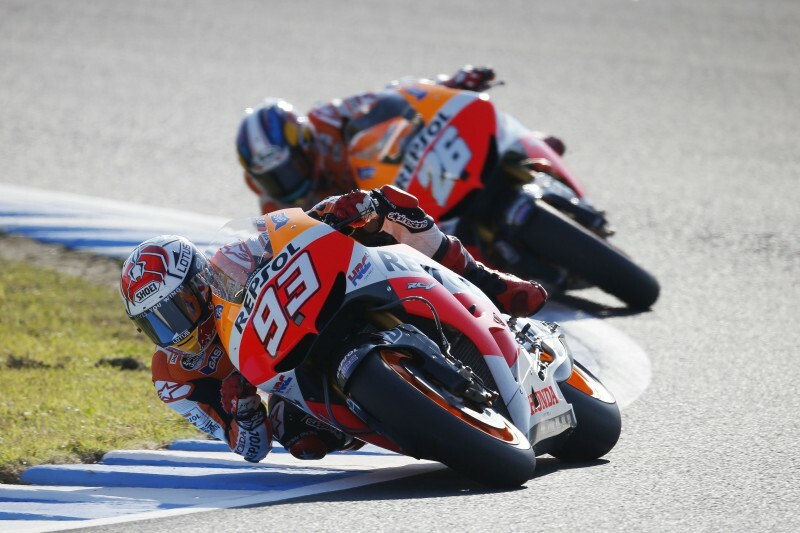 Teammate Dani Pedrosa took second to complete the team’s eleventh double podium of the season and claim Honda’s 62nd Constructor’s Championship in the premier class.… read more. It has been another dramatic weekend with schedule changes and extreme weather conditions disturbing proceedings. However, this morning the MotoGP paddock woke up to sunshine for the first time this weekend. Once the early mist burned off, the morning Free Practice session was extended to 45 minutes as this was… read more. 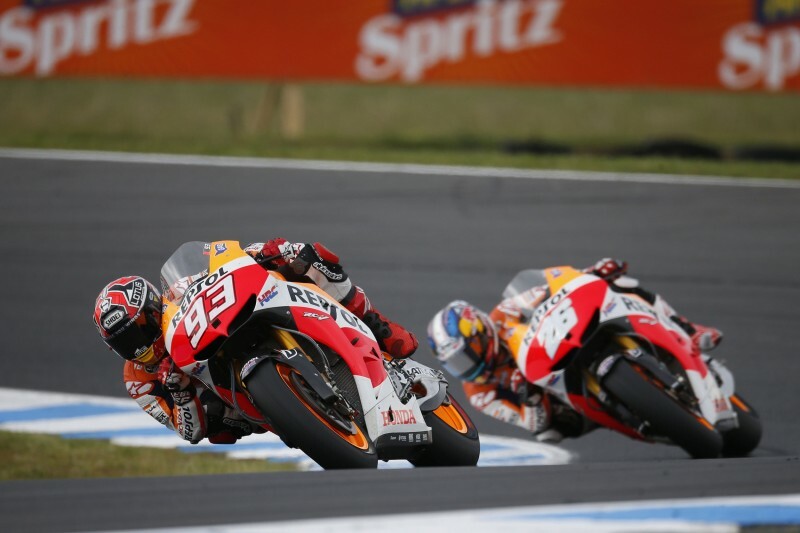 It has been a remarkable day in Phillip Island for the MotoGP paddock, especially the Repsol Honda Team. After Race Direction last night changed the format of today’s twenty-seven lap race due to tyre issues, this morning, the rules changed once again after more troubles in warm up. The new… read more.